Fencing is a sport of skill, grace and technique. It will keep you fit both physically and mentally but most importantly it is great fun for beginners and the experienced alike. 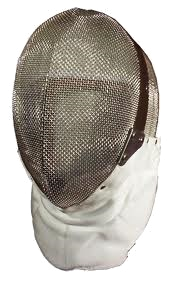 The are three forms of fencing: Foil, Épée and Sabre - each with their own type of weapon and rules. Equipment for all three forms is available to club members. Fencing takes place on a piste where opponents face one another, move up and down the piste and are free to use the whole of the piste's area. 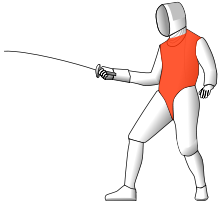 The below shows the main stances "Guards" a fencer uses. The blade is posistioned to defend 1/4 of the target area. The feet are posistion to give the best possible balance on the piste. As you can see it is not much to look at but is a vital piece of protective equipment. It is also a legal requirement under BFA regulations. Plastron's come in different grades and therefore different prices (the starting one is adequate for a beginner) and you will be provided with your own Plastron as a part of your joining fee (No profit is made from the sale you will, recieve the plastron for retail price ). 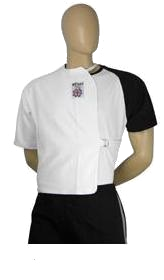 The jackets are unisex and come in different sizes, they fit either left or right handed fencers and have a back zip. 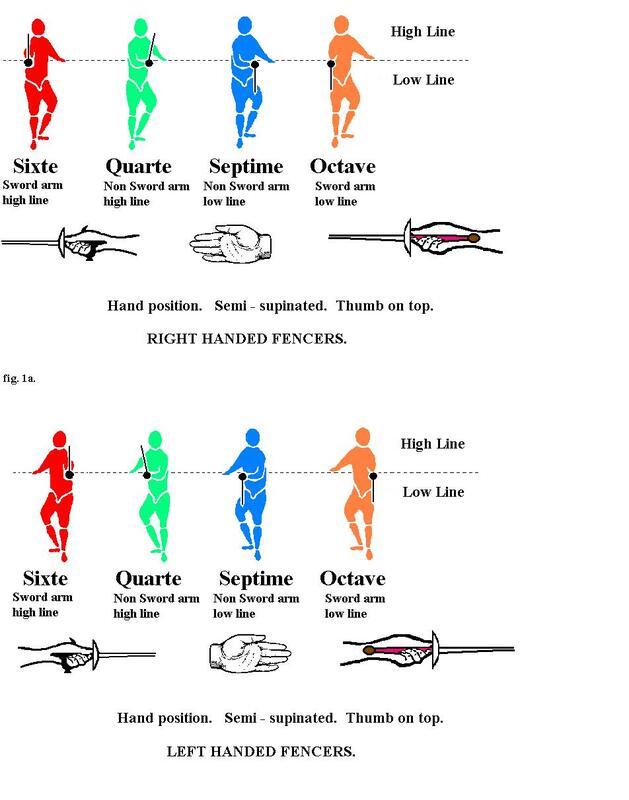 Fencers that buy their own tend to buy a front zip jacket, which will have a zip on the right or left hand side depending on which hand they hold their weapon. The masks come in different sizes and so we will find one that fits you. They may appear a little cumbersome at first but you soon get used to them. They just slip on over your head and an elasticated back holds them in place.